The path runs south of the driveway along the hill through a garden of Callistemons and Tea Trees. It has also become a home to our local wallabies as well. They enjoy the level ground and the shade and regularly take up residence along the path. But they also do a bit of damage to the path itself. So we set about re-levelling the path and secure the broken edges that the wallabies had caused. We also removed the suckering Native Raspberries that sometimes spreed across the path. We dig the suckers out and remove a lot of the root, and then replant the sucker in a more appropriate place. Success is variable with this sort of ‘transplant’, but some suckers have survived and continued to grow into full plants. 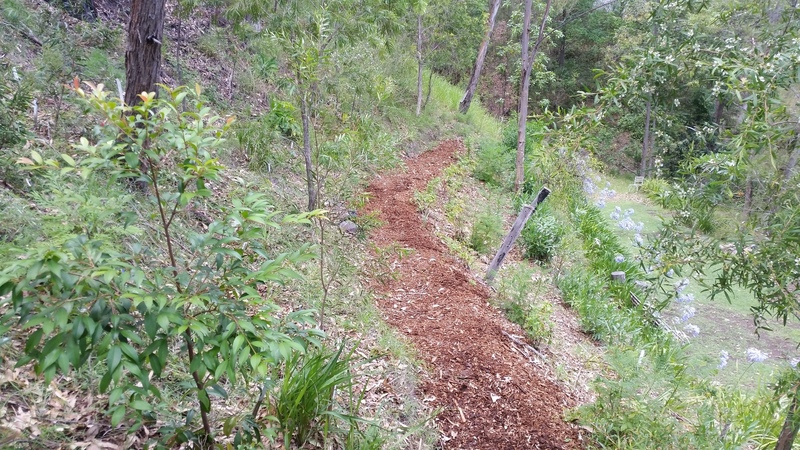 Then we re-applied a very thick layer of forest mulch along the length of the path. 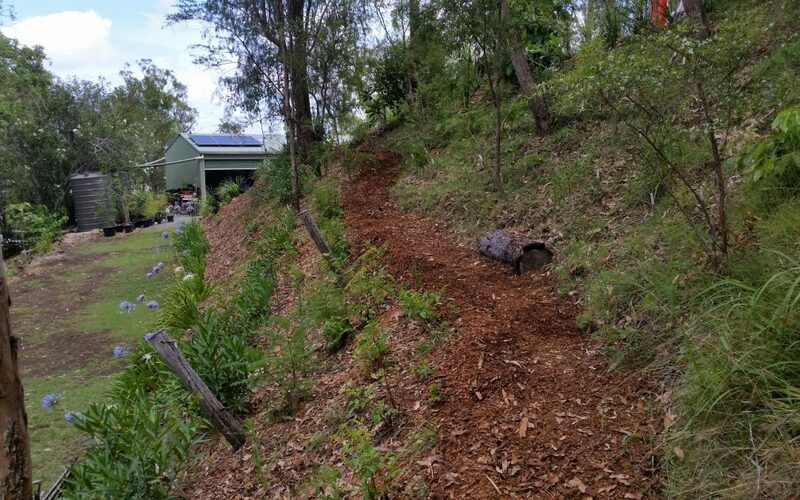 The mulch creates the path, suppresses growth along the path and aids in erosion control and water flow control by absorbing large amounts of water. We were fortunate to still have a large pile of forest mulch left over from the road repairs. 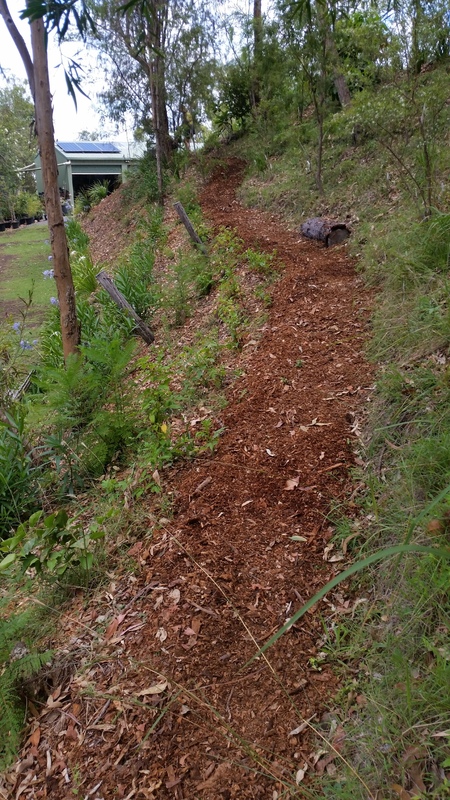 Trees that were felled were mulched and the much delivered to us.